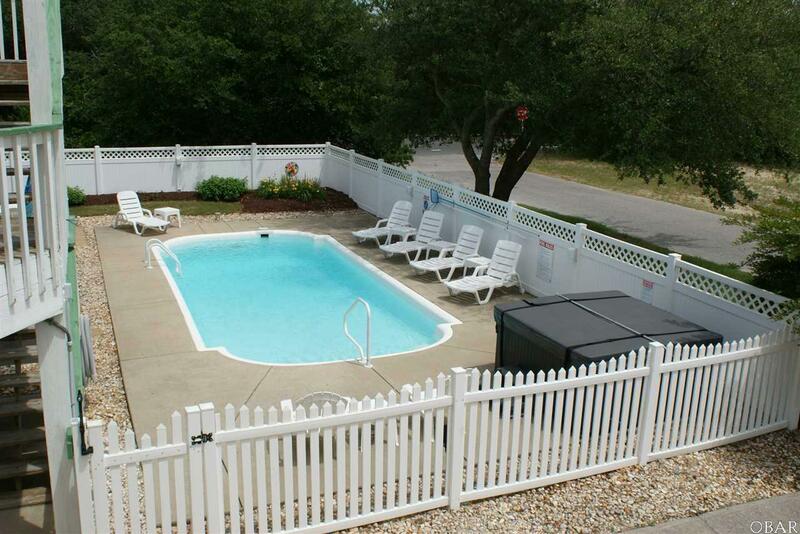 Duck is the place to be, and this 5 bedroom, 4 1/2 bath home has it all! Located on a large lot on the corner of Jay Crest Rd. 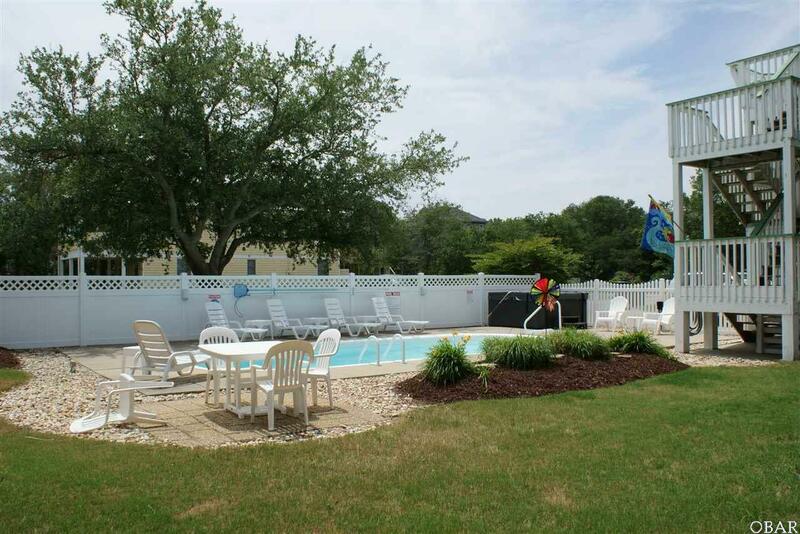 and Duck Rd., the home is not only close to the ocean, but also has a large pool area with hot tub and lushly landscaped side yard- all fenced in with white vinyl fencing for privacy. X Flood zone, so NO flood insurance required! 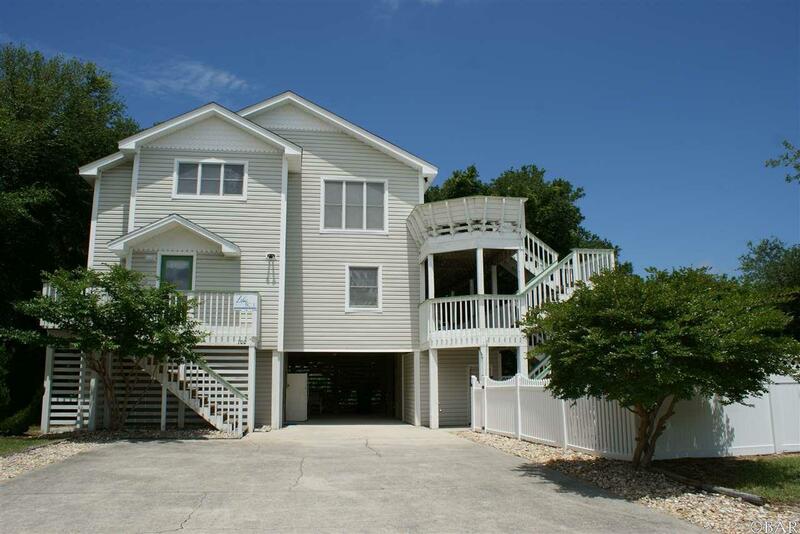 With updated, beachy d'cor, and lots of windows, this home is exactly what youd envision for a beach vacation. The lower level of the home has a game room with covered entry to the carport, bedroom with two twin beds, full bath, laundry closet with washer/dryer and owners closet. On the middle level, there is a master suite with queen bed, flat screen TV, and sliding glass doors that lend access to a huge deck that overlooks the pool, hot tub, and side yard. The second bedroom on the middle floor has twin bunks and access to the same deck. The third bedroom on the middle level has a queen size bed and has direct access to the shared hall bathroom- a full size bath with separate vanity/sink area. On the upper level of the home, youll find a bright, airy, open living area with cathedral ceilings. The fifth bedroom is located on the upper level- a master suite with king size bed, corner jacuzzi tub, and full size bath. The kitchen offers ample counter space, some stainless appliances, and a bar that extends into the dining area. Flowing seamlessly into the dining area is a living room, complete with gas fireplace and large flat screen TV, for family entertainment! A spacious powder room is also situated conveniently next to the kitchen. Outside of the open living/dining area is another large deck, complete with grill and views of the pool area and side yard- you wont run out of space with this home! Recent updates include new carpet and laminate flooring downstairs, and new paint throughout the interior. Membership in the Ocean Crest Association provides ocean access and parking, as well as access to the community pool and tennis courts. Walk or ride your bike to downtown Duck and experience great shopping, restaurants, and entertainment. 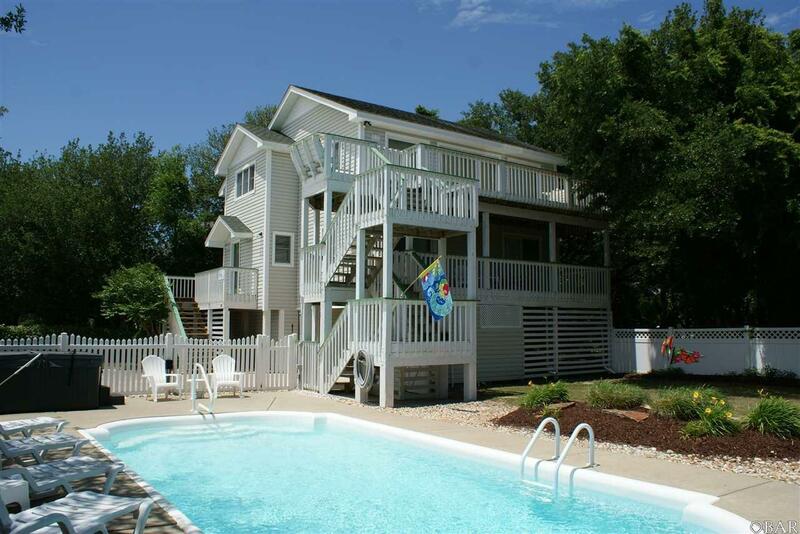 100 Jay Crest is a MUST SEE for anyone whos considering purchasing an investment home or vacation home on the Outer Banks! Listing courtesy of Natalie Drummond of Limelight Realty.